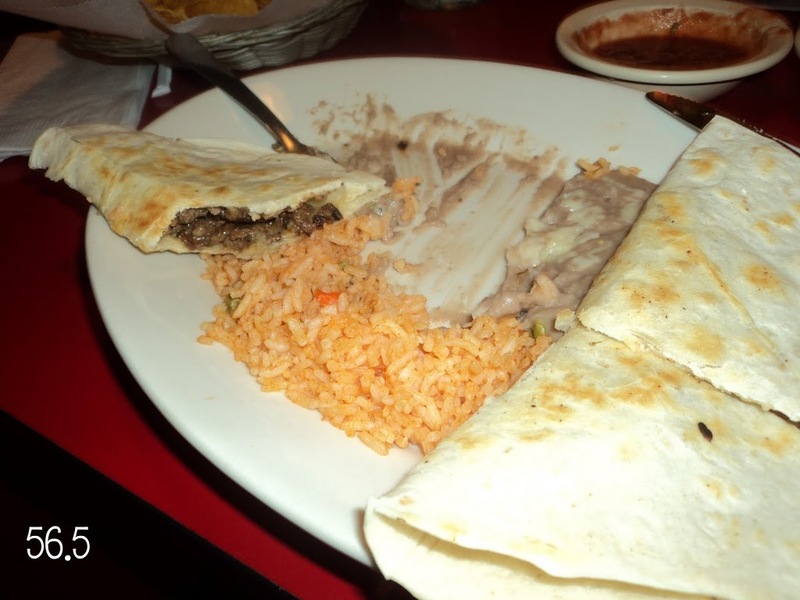 me and the hubs eat more mexican food than any other food, whether we’re just throwing tortillas in the quesadilla maker, or on friday nights going out for margaritas and chips and salsa, and whatever tickles our fancy. 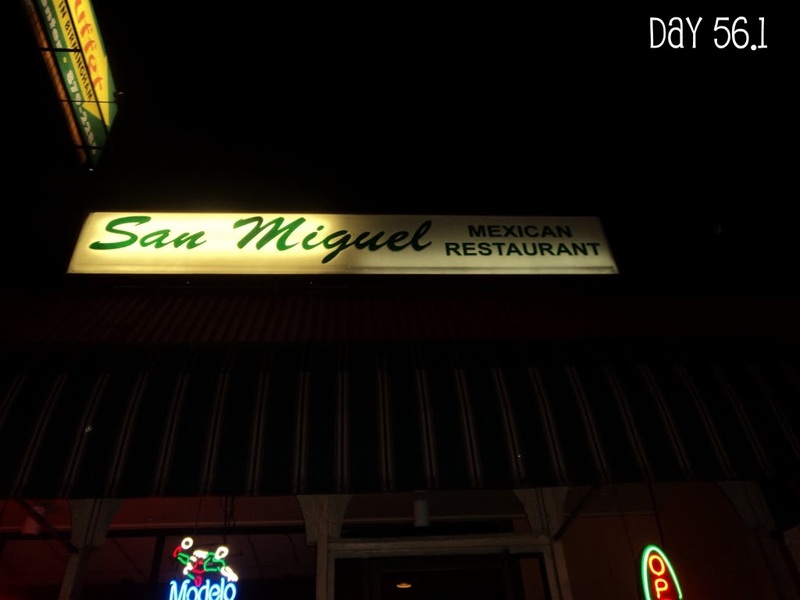 so, while this is a restaurant review, these also do count as my 365 challenge. san miguel….located on green springs highway. you get two kinds of salsa. 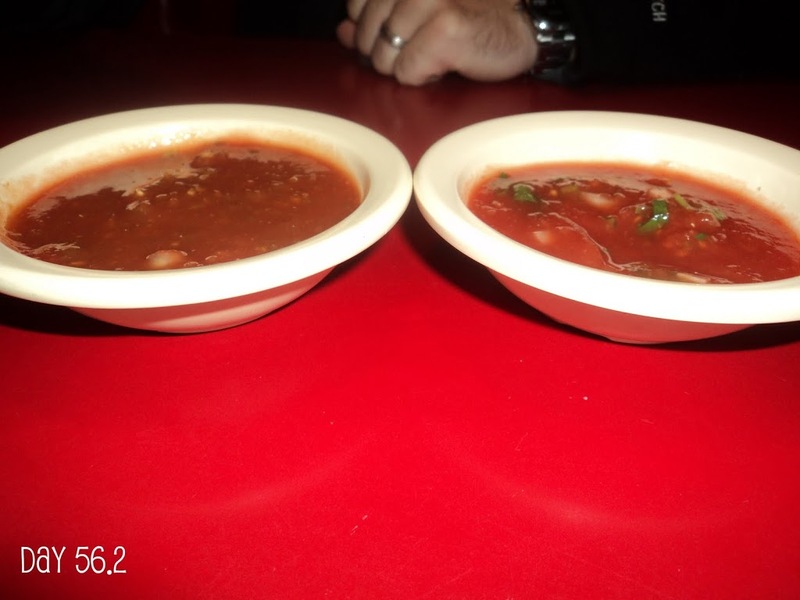 salsa on the left = super spicy (= awesome!!!! ), and the one of the right has more of a cilantro-y flavor. bad for the husband…but great for me. (i could eat cilantro on, umm, maybe everything). 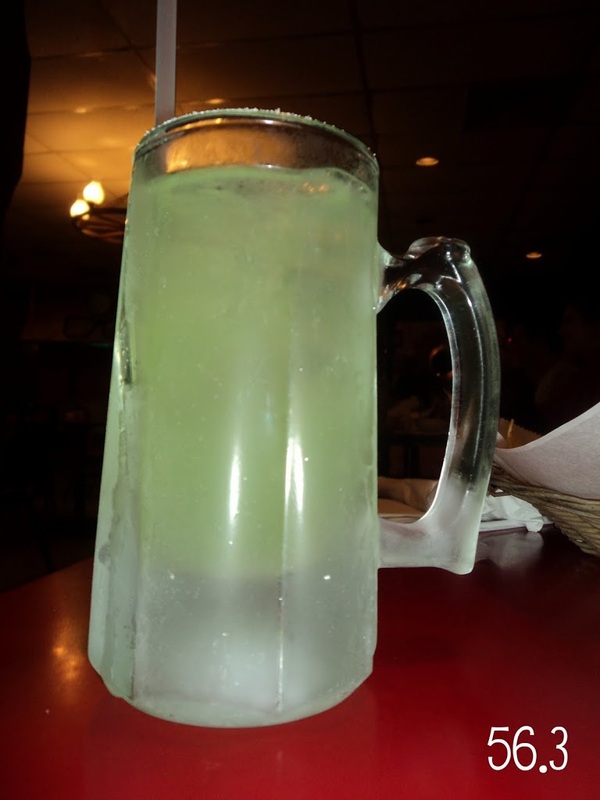 the margarita. happy hour until 7 on friday. we call it the ecto-cooler. but don’t it fool you. two of these, and you’ll be feeling it for sure. bennett’s the more adventurous eater. these are his carnitas tacos. 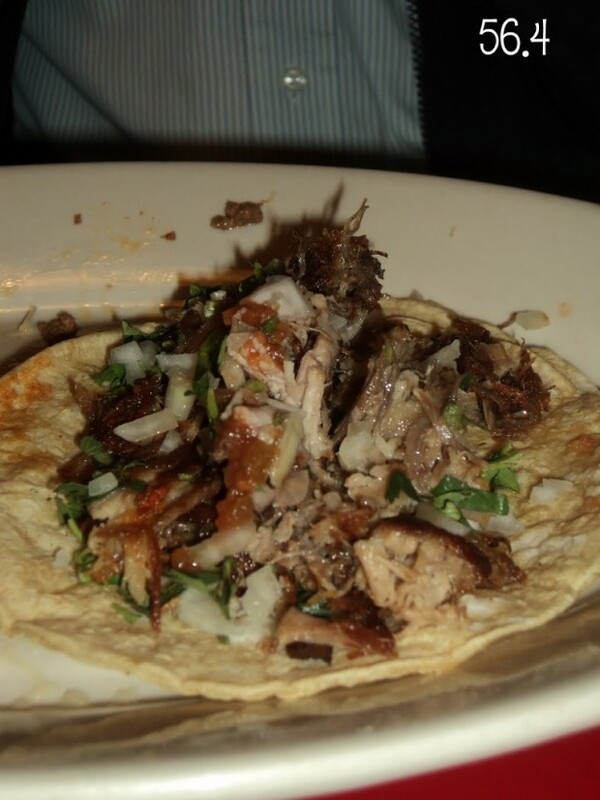 (he’s had the lengua tacos, and the tripe ( aka chitlins) taco, which, umm, i do NOT recommend). and then there’s me with my steak quesadilla. which i do have to say was pretty delish. we pretty much take everyone here when they’re in town. it’s the most authentic mexican place probably in birmingham. we are almost always the only non-Hispanic people in the place. it’s amazing.